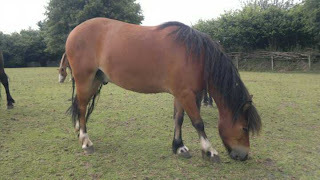 Dartmoor Pony Training Centre - Re-homing Blog: Buzz x Happily gone to a new home! ...and next, another of my favourites, Buzz is a really striking little chap. Buzz is a real sweetie and LOVES attention. He is sometimes a bit "in your face" so we're working with him on creating stronger boundaries at the moment and only allowing him into our space when he's asked to. He is quite stocky but only 11hh ish. Would be ideal for kids pony, driving, farm work etc.as he is very bombproof and scared of nothing! He really needs to be doing something as he has a really active brain and loves attention and fun! Could you be Buzz's forever family?